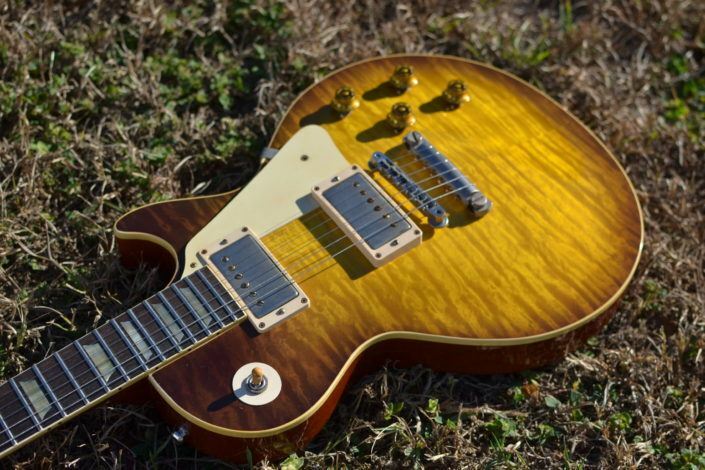 The Iced Tea Sunburst is a staple finish in the Les Paul spectrum. 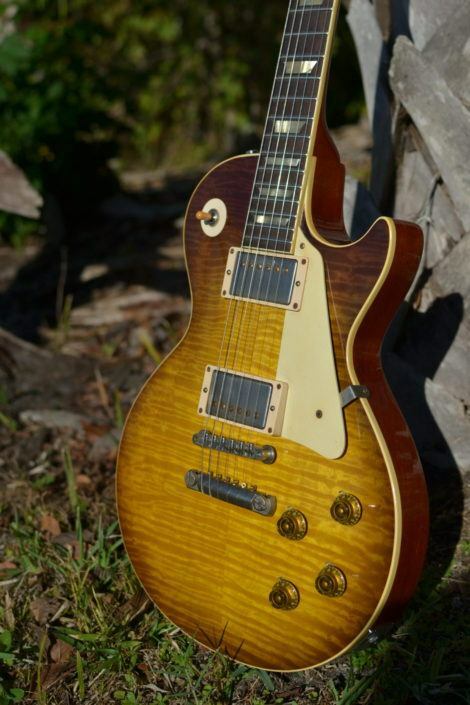 A truly well rounded burst, the band around the lower half of the guitar has softened considerably, while the bout and horn have faded to a caramel brown with just a hint of red remaining. This is a great example of a guitar that has been played out often, but kept clean and cared for.